Precious Blood is a warm and caring community that strives to meet the needs of each family member. 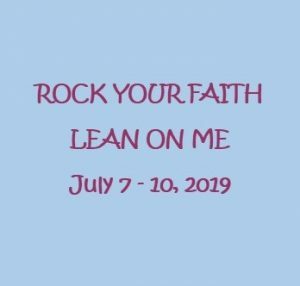 This community works together: To live out its baptismal commitment; To maintain a major link between life and religion; To support Catholic education and the Religious Education Program. Precious Blood of our Divine Savior Catholic Church, known to Jasper residents as simply Precious Blood, celebrated its 50th Anniversary as a parish on August 29, 2004 with Bishop Gerald A. Gettelfinger celebrating the special Mass with our Pastor, Father John Breidenbach. Precious Blood is the newest of three Catholic Parishes serving the city and surrounding area. In 1954, Bishop Henry Grimmelsman purchased ten acres from the William Lechner farm for $8000 (an additional four acres were purchased in 1967). The parish was planned along Highway 56, West Sixth Street. The territory of the new parish was to come from St. Joseph's Parish. The boundaries were set up as: Ireland parish on the west, the Patoka River on the south, Highway 231 and Dorbett Street (including an imaginary extension to Schuetter Road) on the east and Schuetter Road on the north. 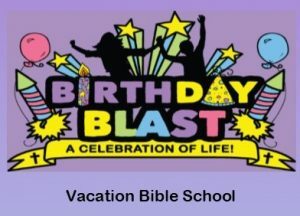 VBS 2019- Here is your Invitation to come to our Birthday Party!… … Continue reading "VBS 2019"
Rock Your Faith- Summer Program that offers middle school students an opportunity to… … Continue reading "Rock Your Faith"